You love your home. Or maybe you don’t! In any case, all homes can always use more TLC. You may have small issues or need full Houston remodeling service. Your kitchen might be really outdated. You may want more livable space, inside or out. We’re ready to hear what you’re looking for, and to make it happen! 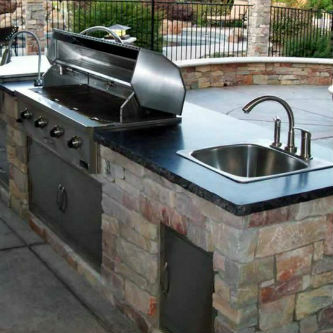 The experts at AAA Masonry & Home Remodeling have over 30 years’ experience in home construction and repair. Find out below what we can do for you! Did you ever think about how much time you spend in the kitchen? If that time is frustrating, it’s time for a change. Call the owner at AAA Masonry & Home Remodeling, and you’ll get an honest quote. Don Martin has decades of experience in home construction. He and his crew can handle all of your wish list. You may want small changes, like a new counter top and back-splash. Maybe your cabinets are not working for you anymore. Or perhaps your entire floor plan is ready for an overhaul. If you have family members tripping over each other, it’s time to fix it! Our company is full-service. That means you only need us to install new flooring, & cabinets. Let’s begin by making your kitchen the calm heart of the home again. Houston Remodeling – Eye Sore or Oasis? After the kitchen, bathrooms are the most-used rooms in the house. And they can show it, too! Daily use means you need a space that works for everyone. We will meet with you to help design a space that makes your mornings smooth. New improvements in tile and stone flooring mean more comfort. Your shower could be a relaxing rain-soaked dream. And it’s definitely time to get rid of that leaky tub! The craftsmen at AAA Masonry & Home Remodeling will make your tiny water closet usable with new, smaller fixtures. We will create a changing area and shower near your pool. Your guests won’t run through the house, soaking the carpet anymore! And we’ll make your master bath into the oasis you deserve after a long day of work. A soaking tub, or multi-head shower are just what the doctor ordered. Visit our photo gallery to see the incredible transformations we’ve made for homeowners like you! Sometimes the only answer is to add more space to your home. Family needs are always changing; so should your house. Perhaps you need a new bedroom. Or your family room is overflowing. 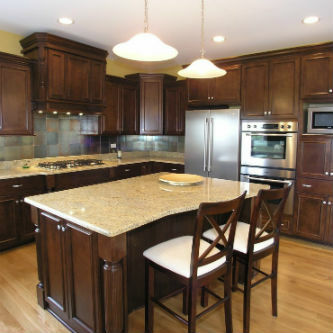 Our remodeling & brick restoration Kingwood contractors have tackled these issues and more! We’ll meet with you, and listen to what you want. Then we can advise the best way to reach your goal. If the answer is an addition, we’ve got the whole project covered. As a full-service company, we can build it from the foundation up. Our additions are so seamless, you won’t know where the new space begins! Framing, HVAC, walls – we’ve done all of this before. So you can have confidence that all parts of your new addition are built right! Your new room may be attached to your home, or not. Our pool cabanas and other outbuildings are meeting homeowners’ needs in Spring, Kingwood, and beyond! We are constantly creating ways to beat the heat. Some homeowners are enclosing their patio areas, creating all-season rooms. If your backyard is unusable for months at a time, this is for you! We can create spaces with oversized windows to allow as much air flow as possible. Imagine enjoying summer’s best in comfortable shade! Plus, screen additions mean the bugs stay outside. 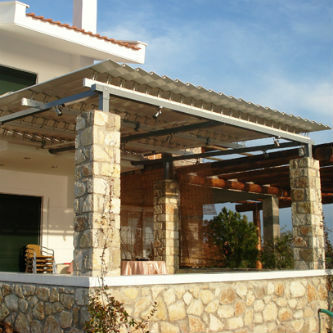 Maybe you want more open air, so a pergola is for you. You can train vines to grow through it, creating gorgeous natural shade. Who wants to roast in the south Texas heat? Make your backyard a place of joy again! With a covered area, family and friends can have fun together again. Call AAA Masonry & Home Remodeling to learn how we can get you there. There is a reason why you see more homes flowing to the outside. We want to enjoy all parts of our property! People have been cooking outside for years, but not in comfort. All that running back and forth is gone now. Modern improvements in outdoor features mean you can make it happen in your budget! We install patios, walkways, pools, and other features. Then, we’ll plan an outdoor cooking and eating area. A built-in grill, counter-top, and storage will mean all the difference between a good football season, and a great one! Imagine your family spending time together in front of a fireplace. Make your entire home work best with your family’s needs. Call Don Martin and AAA Masonry & Home Remodeling and let your dreams come true!